You might think that a narrow gauge steam railway would not worry about its ‘green’ credentials, but you would be wrong; and it’s ‘greener’ than you think! • Each train takes an average of 136 people into the National Park to see the beautiful scenery. That is the equivalent of 45 cars per train based on three people sharing a car. 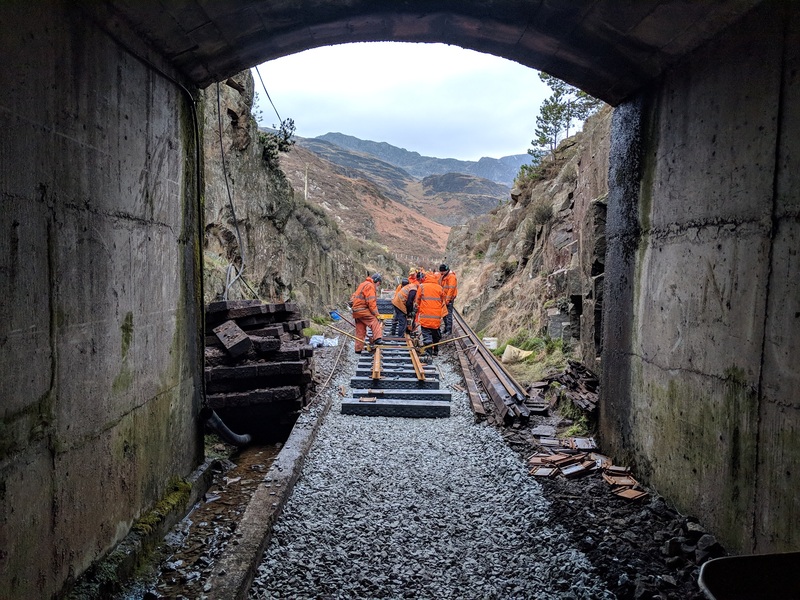 • We are an important part of the green transport network providing a link between the Conwy Valley line to the north and the Cambrian Coast line to the south. We give a discount to public transport rover tickets and work with sites such as bigtrainlittletrain.com and goodjourney.org.uk to promote green travel through Wales. • We work with local groups to keep our area clean. 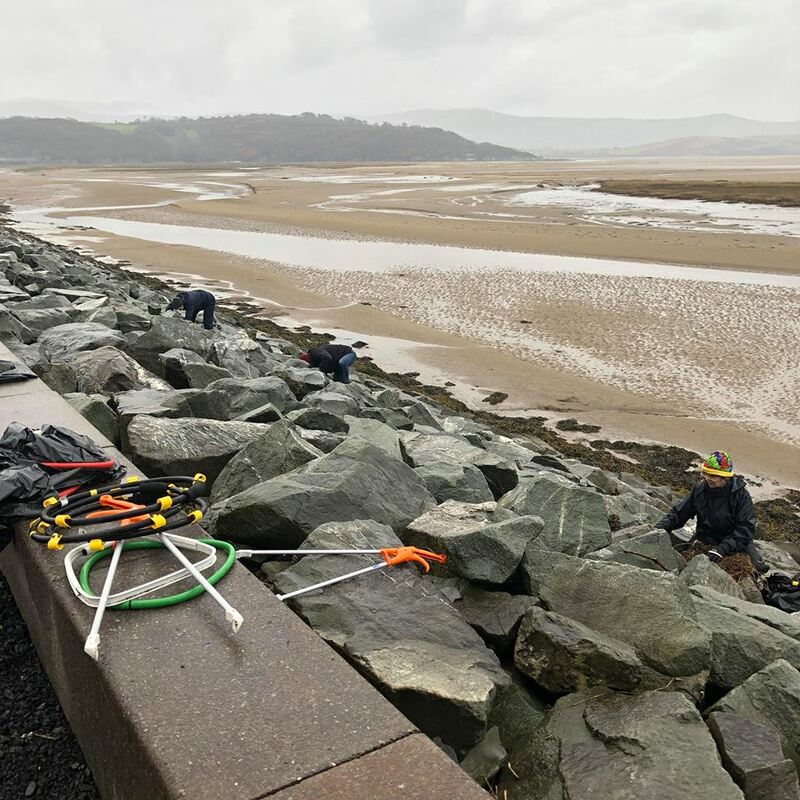 A shoreline clean across the Cob embankment organised by the Bywyd Gwyllt Glaslyn Wildlife group recently collected many bags of plastic rubbish and we helped by collecting up the bags using our Trên Sbwriel (rubbish train). Some of our stations have volunteer station adopters who work very hard to keep the stations clean and attractive for our visitors. Blaenau Ffestiniog is one such station where the adopters work tirelessly to keep litter to a minimum. • Our buffet cars stock a good range of local products to reduce food miles including locally brewed beer and pure Snowdonia Water. Our crews are meticulous about recycling – collecting the rubbish from the train and splitting up into recyclable and non-recyclable. This is then taken away by a local company for recycling. And cardboard boxes – everything comes in cardboard boxes! These too are carefully packed into bins for recycling. • We even reuse plastic ourselves. We buy plastic sleepers which are made from recycled plastic. You can’t tell the difference and we hope they will be more durable in the temperate rainforest climate in the woodland through which we pass. • Although we are proud to be a heritage railway with our past steeped in history, we also look to the future in our planning. Our new station building currently under construction in Caernarfon not only has a modern look but is being built to the highest environmental standards; engineered to achieve a BREEAM (Building Research Establishment Environmental Assessment Method) very good award. This looks at both environmental impact and sustainability which is very important to us. 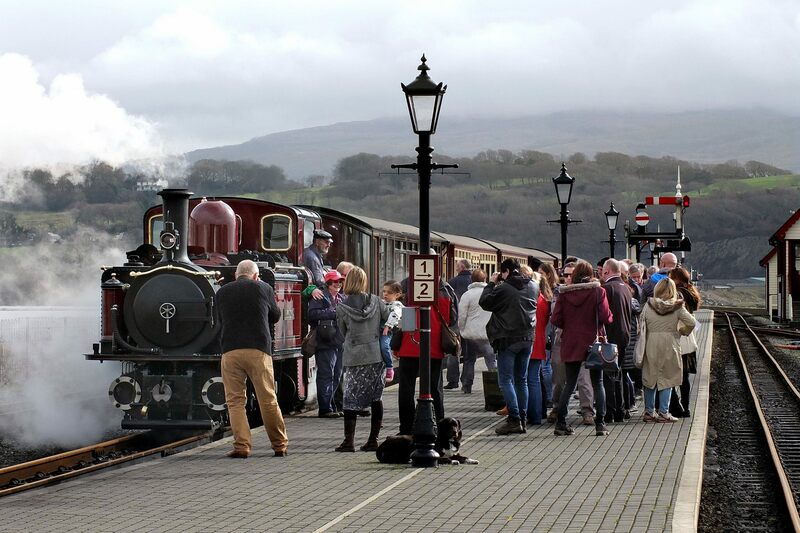 So take a ride on the Ffestiniog & Welsh Highland Railways, leave your car behind and join our green campaign. And whilst you travel along through that fantastic scenery, think back to the railway’s roots. The slate quarries which once produced record amounts of slate are now home to downhill cycling, underground trampolines and zip wires, whilst the steam locomotives that used to pull the wagons for transporting the slate to the coast are now hauling trains of passengers for their enjoyment – now that IS recycling on a grand scale!